Exploring Asakusa and Tokyo Skytree, checking out the otaku culture of Akihabara and eating delicious sushi are on the itinerary for most visitors to Japan’s capital. But while these are all awesome parts of a trip to Tokyo, the city has so many cool offerings that it would be a shame not to take part in a real "only-in-Japan" experience. Japanese restaurants often showcase plastic food in their display windows to let potential customers know what the dishes actually look like. 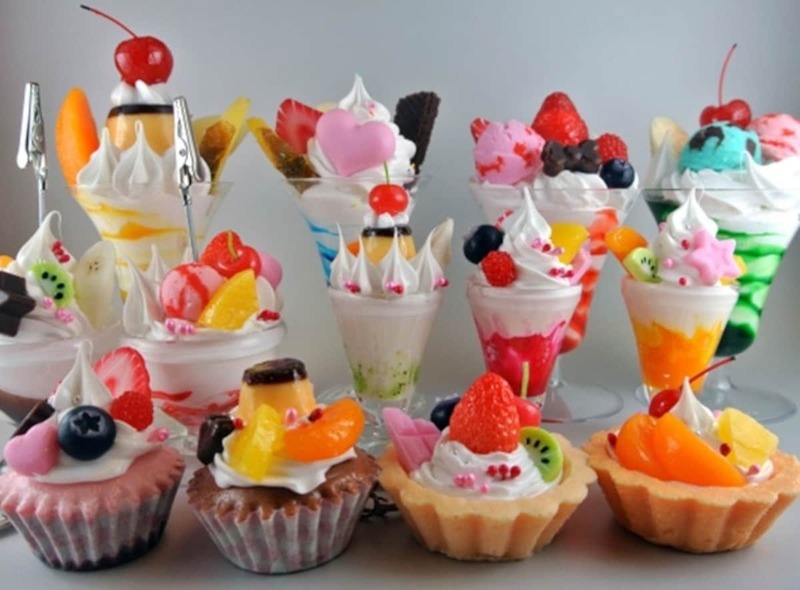 Super-realistic and intricate, these food samples have fascinated visitors to Japan for decades. While most of the workshops of sample artists are not open to the public, there are a few where you can try your hand at making your own samples. Ranging from ice cream sundaes and mini-cakes (popular with children) to more complex bowls of faux-ramen or curry, this is a one-of-a-kind handmade souvenir that just screams "Japan!" Located in the trendy Daikanyama area, this unusual "temple café" is run by the monks of Shingyoji Temple. From the elegant Buddha-infused décor to a healthy menu that includes vegetarian options and truly scrumptious-looking pancakes, Tera Café is a great spot to take a short break from sightseeing and shopping. Additionally, you can book special classes such as making your own juzu (Buddhist rosary) or try shakyo (sutra copying) in a friendly atmosphere. Japanese speakers can even reserve a "dialogue session," where the monks will share their advice about things you might be worrying about. Okay, so perhaps trying 100 kinds of Japan’s famous rice wine in one go isn't a good idea. But no visit to the country can be complete without experiencing the national drink. With three locations in Tokyo, Kurand Sake Mart allows guests to sample as many of their over 100 different kinds of regional sake as they wish for a flat fee—and booking in English is available on Veltra! From dry to sweet and warm to cold, discover your favorite type of sake and perhaps make a few new friends as well! Japan’s incredible selection of animal cafés has become famous worldwide, and range from the famous cat havens to spots where you can hang out with owls and even snakes. One of the most popular trends has proven to be rabbit cafés, where for a set fee you can cuddle with and feed snacks to cute bunnies, and enjoy watching them hop around as you sip a cup of cappuccino. This is a particularly good option for chilly winter days, to warm up and experience one of the more adorable parts of the country’s pop culture. If you're visiting Tokyo in January, May or September, make sure you check out the massive sumo tournaments in Ryogoku. Perhaps one of the oddest national sports in the world, seeing the massive wrestlers face off in a ring surmounted by a dramatic roof and surrounded by fans is an unforgettable experience. Even total beginners to the world of sumo will get swept up in the excitement, as the top-ranked wrestlers bout fiercely for the title of yokozuna. To complete the experience, we recommend trying chanko nabe (a delicious and very healthy hot pot dish that's the staple of sumo wrestlers’ diets). Pro tip: tickets go fast, so make sure you book your slot at least a month or two in advance! Whether you know exactly where you want to go, or you are looking for some ideas, Veltra has over 4,500 tours and activities around the world waiting for you to discover. With new destinations continually added, Veltra will change your life one visit at a time. In fact, by simply re-arranging the letters, you'll find that "Veltra" becomes "travel!"